Nice work yesterday, everyone! I received some wonderful quotes on being daring, or the consequences of such. But there can only be one winner each day, and yesterday’s is Melissa Wray! Love that! So thanks, Melissa. All I need now is your mailing address and to whom you would like me to sign the book. Use the contact form and we’re good to go. Ben has a love hate relationship with his job. He loves it because his crush works there. 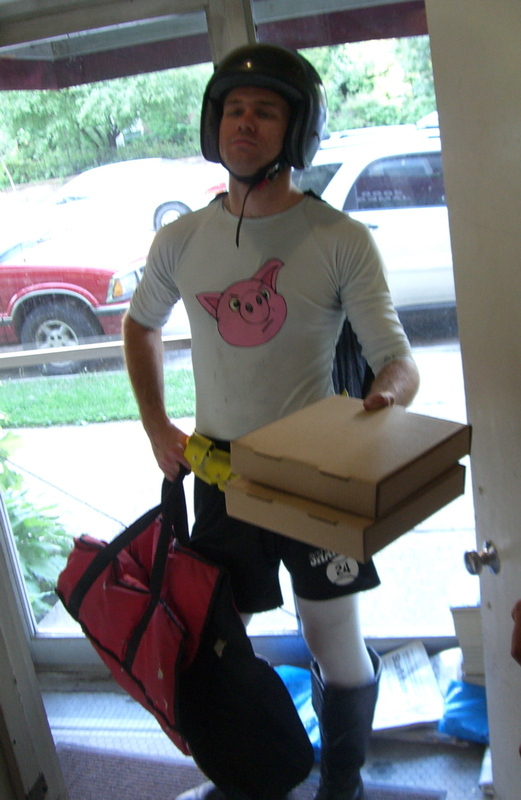 He hates it because delivering pizzas isn’t the easiest way to make money. We’ve all been in his shoes. That first job wakes us up to how life and finances work. So tell me about your first job, why you loved and hated it. The best story gets a signed copy of Dare Me. Leave your stories here in the comments, on my Facebook author page , or tweet to to me @eric_devine. Thanks! That was an amazing story. At the same time hilarious and equally sad. I am one klutzy man, and was even worse as a child/teen. I can so relate. Thanks for sharing. I am so looking forward to reading Dare Me. Thanks Eric!